According to ProFootballTalk, the Jets filed tampering charges today against New England Patriots owner Robert Kraft, who spoke at the NFL owners meetings yesterday about former-Patriot and current-Jet Darrelle Revis. Kraft told CSNNE that the Patriots made two competitive offers to Revis and had hoped to retain him, but things just didn't work out. Per a league source, the Jets have submitted to the league office a letter tracking the language cited by the Patriots when making their tampering charge in January. As PFT points out, the circumstances here aren't identical. 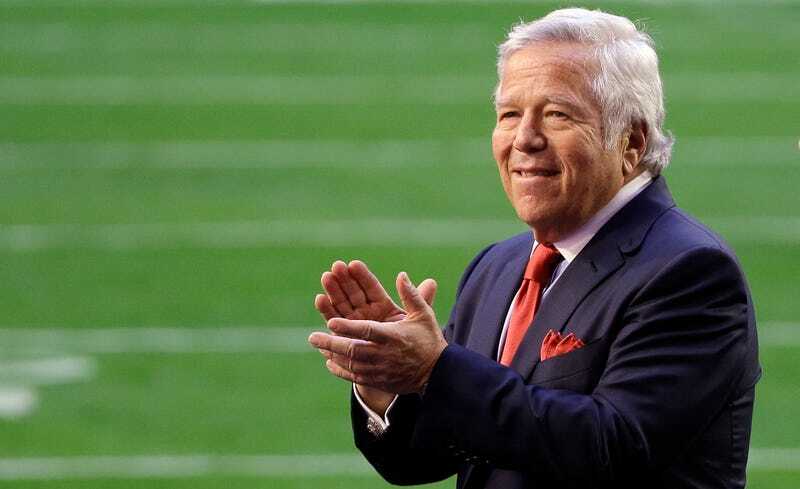 Johnson made his comments about a player under contract with another team who was about to become a free agent, whereas Kraft made his about a player that just signed a five-year contract with another team. But the Jets don't care about these differences. Turnabout is fair play, after all.